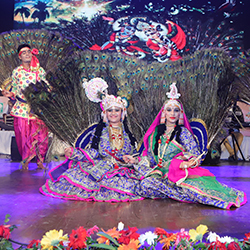 THE RAJASTHAN SATE CHAPTER OF IDA organized a National Seminar on 1st December 2018 in Jaipur. 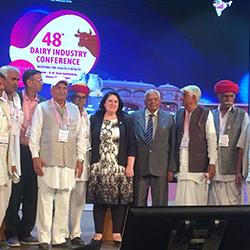 The theme of the Seminar was “Packaging Innovations in Dairy and Food Industry”. 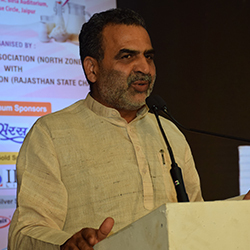 While releasing the Souvenir on the occasion, the Chief Guest Mr. Zakir Hussain, IAS, Managing Director, Rajasthan Cooperative Dairy Federation Ltd. said, “In today’s competitive environment, there should be continuous innovation in the product packaging based on the requirement of the consumers.” In this Seminar, representatives from the various dairy and food industries took part. Addressing the gathering Dr. G.S. 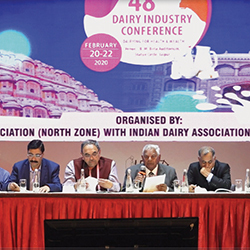 Rajorhia, President-IDA in his Keynote address mentioned that the food package sector is the fifth largest industry in India, which accounts for about 32 per cent of the country’s total food market. Packaging connects agriculture and manufacturing with consumers and helps in reducing the wastages of food in the post-harvest phase besides improving the value and acceptability of raw goods in order to provide safety net. Packaging helps in accelerating the growth of processed foods industries and boosts exports. 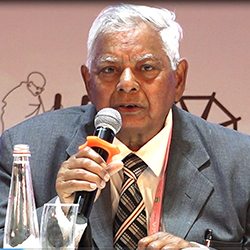 He elaborated upon the new food packaging innovations for ensuring safety and quality, shelf-life extension including nano-composites, modified atmosphere packaging, active packaging, use of oxygen scavengers, water soluble and edible packaging. 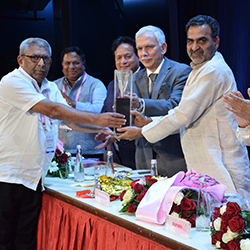 Among the dignitaries who attended the Seminar included Mr. A.K. 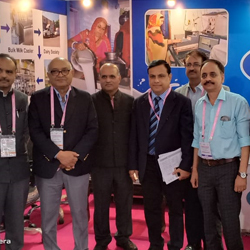 Khosla, Vice President-IDA; Mr. S.S. Mann, Chairman, IDA(NZ); Dr. Tanweer Alam, Joint Director and Regional Head, IIP, Delhi; and Dr. Kaushik Khamrui, Principal Scientist, NDRI, members of Zonal Executive Committee of IDA (NZ) and State Executive Committee.